Texas Commercial Vehicle Accident Lawyer, Jason Coomer, handles truck and other commercial vehicle accident lawsuits including negligent delivery van drivers, company truck drivers, construction truck drivers, and other negligent commercial vehicle drivers that have caused serious automobile accidents resulting in catastrophic injuries or death. For a free evaluation of a commercial vehicle accident lawsuit by a Texas Commercial Vehicle and Truck Accident Lawyer, please use our submission form or e-mail Texas Commercial Vehicle and Truck Accident Attorney, Jason S. Coomer. Please include the date of the accident, location of accident, your name, injuries suffered, and a brief description of the accident. According to the National Center for Statistics and Analysis, thousands of motorists are killed each year by commercial vehicles. Commercial vehicles are too often driven by under trained, inexperienced, and over worked drivers that are under pressure to drive fast as well as keep maintenance costs down. These factors combined with road construction, cell phones, GPS devices, and other potential driver distractions can cause fatal automobile accidents. Texas Commercial Vehicle Accident Lawsuits are typically against businesses that have negligently entrusted a careless or drunk driver to use a company vehicle. These commercial vehicle lawsuits commonly are vigorously defended by the business and their insurance company. It is often important to obtain a Texas Commercial Vehicle Lawyer that is familiar with these lawsuits to gather evidence and make sure that those injured in the accident, those that have lost loved ones in the accident, or witnesses to the accident are not tricked into a recorded statement or by an insurance adjuster when they are on medication, grieving, or not expecting contact. 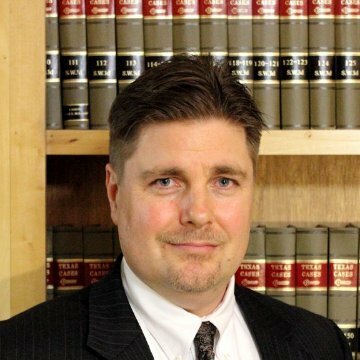 As an experienced Texas Commercial Vehicle Accident Lawyer familiar with insurance adjusters and insurance tricks, Jason Coomer, has helped many families through Texas commercial vehicle accident lawsuits that have catastrophically injured a family member or has resulted in the death of a loved one. He provided protection from insurance adjuster tricks and helps families obtain compensation for the damages that they have suffered. Since trucking deregulation in Texas and the passage of NAFTA, you can see many several ton large trucks barreling up and down Texas highways including I-35, I-10, I-20, and other interstate highways. These trucks come from Mexico, Canada, Texas, and several other states carrying large loads and traveling at high rates of speed. Large commercial trucks account for about 10 percent of all fatal vehicle accidents in the United States. Almost 10% of fatal trucking accidents in the United States occurred in the state of Texas on Texas roads. Truck accidents have an increased chance of causing serious injuries and death because in most cases, a truck cannot remain upright during an accident. Additionally, because of the size and weight of commercial trucks, truck drivers have limited visibility and maneuverability as well as limited control of their vehicle. This makes it easier to lose control and crush other vehicles. These factors greatly contribute to the damage done to passenger vehicles in trucking accidents. Whether the truck driver is distracted, falls asleep at the wheel or just isn't paying attention, accidents caused by large commercial vehicles kill or catastrophically injure thousands of motorists each year. Unfortunately, with large trucks driving on Texas roads and highways comes the potential of catastrophic damages. Untrained, overworked, or inexperienced drivers all too often lose control of their vehicles causing them to jackknife, overturn, or collide with passenger vehicles. Many of these truck drivers are overworked, on caffeine or other drugs, and running behind schedule. This is extremely problematic when these drivers are driving vehicles that weigh many tons and collide with smaller vehicles. When this happens it is typically the passengers of the smaller vehicle that suffer. If you or a loved one have been ran over by a truck, had a large truck hit you, or collide with your vehicle, it is important to obtain excellent legal representation from a Texas truck accident lawyer to protect you or your loved one's rights and to make sure that an investigation as to the cause of the collision in done correctly. Texas Company Truck Accident Lawyer Jason Coomer has years of litigation experience and the necessary knowledge to make sure those injured in automobile and large truck accidents are fully compensated under the law. He has helped many people injured by negligent and drunk drivers and made sure that the families of those killed and seriously injured were compensated as well. He prides himself on successfully battling large insurance and trucking companies to make sure they pay adequate compensation for damages caused by their drivers that through reckless, careless, or negligent driving have injured someone. He handles truck accident claims in Austin, San Antonio, Dallas, and Houston. Please feel free to contact The Law Offices of Jason S. Coomer for additional information on vehicle collisions, truck accidents, and car crashes. Don't think that if you have suffered serious injuries in an truck collision that the insurance industry will take care of you or voluntarily pay you for all the medical bills, lost wages, pain & suffering, impairment, disfigurement, and other damages that you have suffered. They probably won't. In fact, many insurance adjusters will offer low settlement amounts hoping that you will sign away your claim prior to knowing the full extent of your damages. I have also seen insurance adjusters will delay and allow the statute of limitations to run relieving the insurance company of any liability. For a free evaluation of your commercial truck or commercial vehicle accident lawsuit by an Austin Texas Company Vehicle lawyer, please contact Texas Commercial Vehicle Accident Attorney, Jason S. Coomer. Please include the date of the accident, location of accident, your name, injuries suffered, and a brief description of the accident. Jason Coomer works with other Texas Commercial Vehicle Accident Lawyers and other Commercial Truck Accident Lawyers throughout the United States on large Commercial Vehicle Accident Lawsuits. He works with Dallas Commercial Truck Wreck Lawyers, Houston Company Vehicle Collision Attorneys, San Antonio Company Truck Accident Lawyers, and other Truck Accident Lawyers.